← Kim Beattie’s “And You!” (1929) Canadian 1st Edition Dust Jacket…. 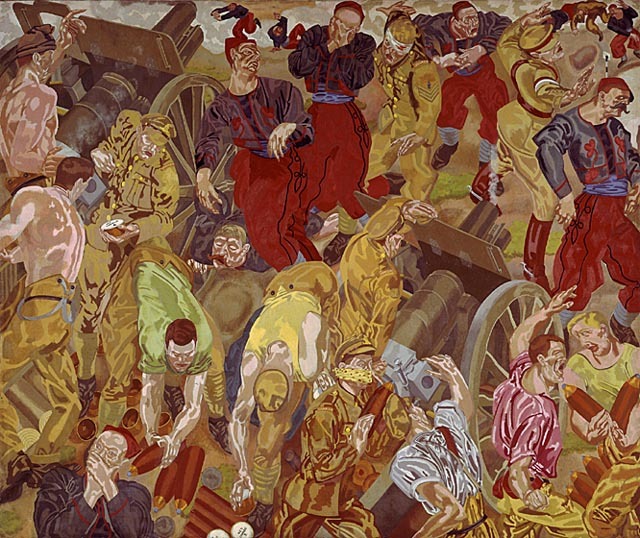 Another massive canvas (10′ x 12′), housed in the National Gallery of Canada. Roberts enlisted as a gunner in the Royal Artillery in 1916, and was seconded to the Canadian War Artists program for the final six months of the war in 1918. This entry was posted in Uncategorized and tagged William Roberts. Bookmark the permalink.